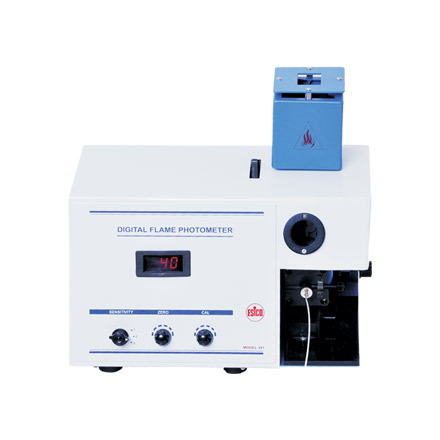 Flame Photometer | products Categories | Electronics India - Manufacturer, Supplier and Exporter of Analytical, Scientific Laboratory and Pharmaceautical Instruments in India. 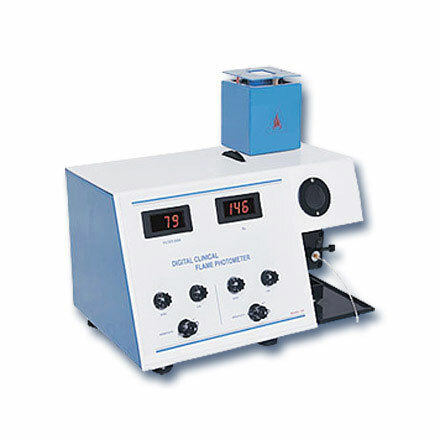 Electronics India is an established manufacturer, supplier and exporter of sophisticated Flame Photometer from India. The Flame Photometers offered by the company are high on quality, performance and are made of the finest quality raw materials, making them durable and long lasting. Flamephotometers are used for determination of Soduim, Potassium, Lithium and Calcium in blood and soil samples. Various type of Flame photometers such as Microprocessor Based and Digital Flamephotometers are available. The most advanced technology is used to manufacture these flamephotometers. Advanced features like PC connectivity through RS232 serial port connection to the computers is also available. 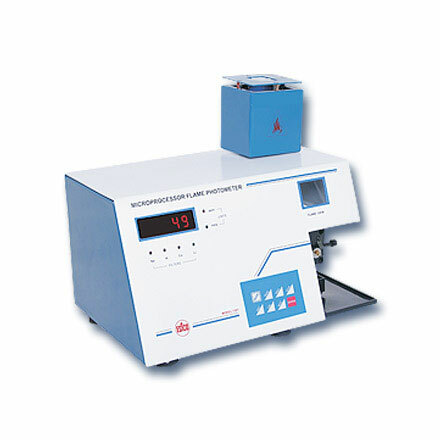 The simultaneous measurement of two or more elements is available with single aspiration of sample. 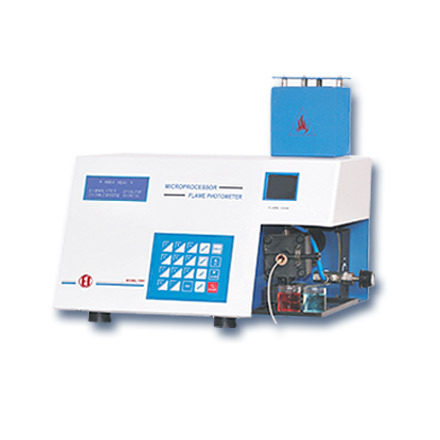 Electronics India is one of the most reputed Flame Photometer Exporters in the market. A wide choice from different models of flame photometers are available to be used in the medical clinical labs, soil testing labs, milk plants etc.